As a graphic designer, I have the option of continuing to enjoy this hands-on, absorbing activity and using it my work. Yet I usually find myself sitting in front of a screen instead. 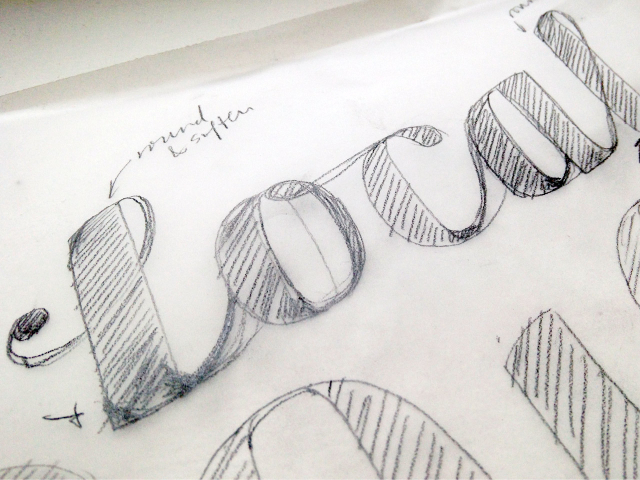 So last month, I made time for a crash course with Martina Flor on creating lettering the old-school way. The atmosphere at the all-day workshop, held in Berlin’s Aufbauhaus overlooking the Prinzessinnengarten, was collegial but quiet and focused. We each worked on one phrase of our choosing, using layers of tracing paper to create sketch after sketch, each evolving further from the original. Martina made the rounds, giving feedback and suggestions. At the end of the day, when the sky grew dark around our glass classroom, we compared drawings and experiences. Several of us agreed that we’d started the day scared: afraid of the blank page, afraid of failure or lack of inspiration, afraid of being the worst one in the class. 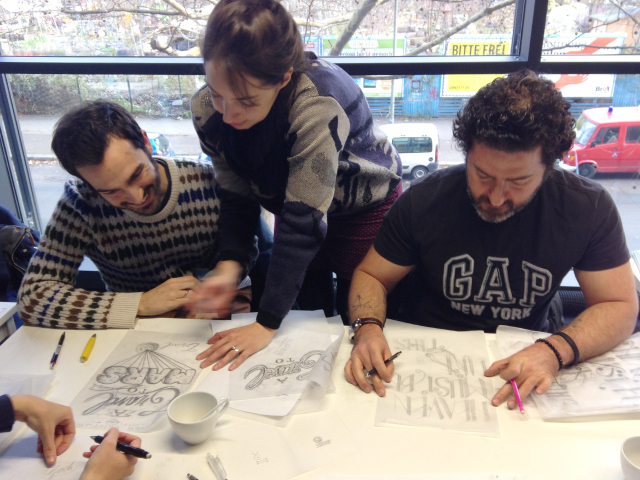 But through the drawing process itself, we loosened up, we let go, and the letters started flowing. My lettering piece from the workshop remains unfinished; I have no final masterpiece to show you. But I took away other things from the workshop: a sharpened eye for good lettering, and a reminder of the power of sketching, of process, of trying just one more sketch to make each letter better. 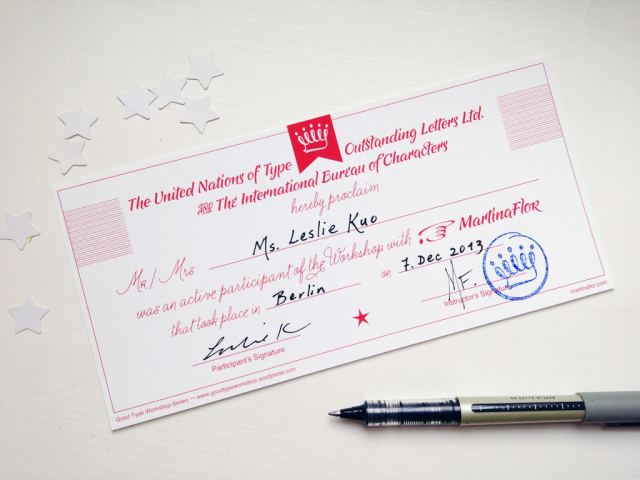 This entry was posted in Blog and tagged berlin, design, lettering, news. Bookmark the permalink.